You guys! I am so excited to share this Easy Southern Peach Cobbler with y’all. The weather finally seems to be figuring out what month we’re in and that means it’s time to dust of the grill and plan the first cookout of the season! 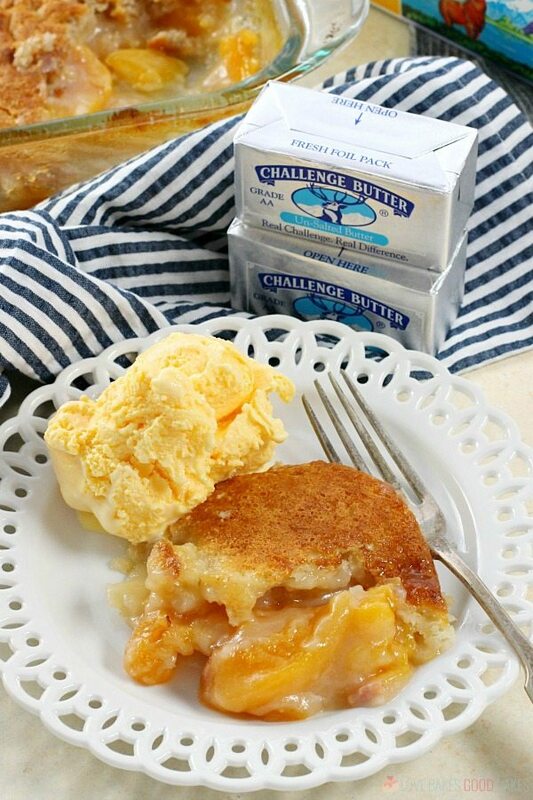 I’ve got you covered on dessert – this Easy Southern Peach Cobbler is simple, delicious, and the perfect addition to any summer menu. Of course, this Easy Southern Peach Cobbler is best with FRESH peaches … but that’s not always realistic. They can be nearly impossible to find out of season. Since this is a dessert you’ll want to enjoy longer than just at the end of summer, frozen peaches that have been thawed and drained make a great substitute. For times when I have to use frozen peaches, I usually add my peaches in a colander and set them over a bowl to drain. In an absolute pinch, and only as a last resort, you can also use canned peaches that have been drained. Personally, I would choose fresh first, frozen second, and canned if I had no other choice. No matter what you choose, you’ll still need about 4 cups of peaches. 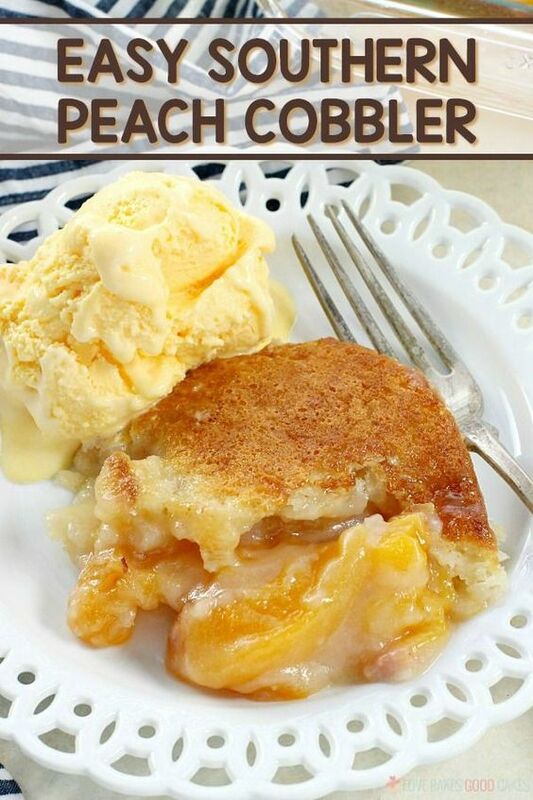 This Easy Southern Peach Cobbler recipe is a must-make dish for your next cookout! It can be served warm or at room temperature. Place the butter in a 13x9-in. baking dish. Place in oven until the butter melts, about 5 minutes. Remove from oven and set aside. In a large mixing bowl, combine the flour, 1 cup of sugar, baking powder, and salt. Stir in milk just until the dry ingredients are moistened. Pour the batter over the butter in the baking dish. Do NOT stir. In a separate large mixing bowl, combine the remaining 1 cup of sugar with the peach slices, and lemon juice. Mix well. Pour the peach mixture over the batter in the baking dish. Do NOT stir. If desired, sprinkle with cinnamon. Bake for 40-45 minutes or until the cobbler is golden brown. 0 Response to "EASY SOUTHERN PEACH COBBLER"